The organization began in 1992 as a small program, serving 200 people, located in the basement of the Iglesia de San Andres (now known as Iglesia del Buen Pastor) in Durham. Since 1992, the population of Latino residents in our area has grown from 3,000 to 37,000. Latinos now make up 13.5% of the population of Durham County and 8.2% of the population of Orange County. As the Latino population has grown, so has El Centro Hispano. El Centro now has two locations, one in Durham and one in Carrboro-Chapel Hill. It is the largest grassroots Latino organization in North Carolina. We have an active membership base of more than 1,000 dues-paying members and provide programs and services to more than 10,000 community members annually. 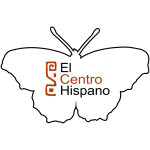 El Centro Hispano has been working to fulfill its mission, providing programs and services in four core program areas: Support Services, Education, Health, and Community Organizing. Within these focus areas, we offer 38 distinct programs and services to meet expressed community needs. Support Services: Direct Support and Emergency Services, Employment Advice, Legal Services, Tax Services, Domestic and Sexual Violence Prevention, and Cultural Development. Education: Basic Literacy, Elementary and Secondary Education for Adults, English as a Second Language, Tutoring, Child Enrichment, Youth Development, and Parenting Support. Health Education and Prevention: Diabetes, Nutrition, Stroke, Breast Cancer, and HIV Education; LGTBQ Support Group; and Liaison with the Public Health System. Community Organizing: Youth and Community Leadership Development, Advocacy and Coalition Building, Soccer Academy, Civic Engagement, Neighborhood Organizing, Outreach. Our budget of $900,000 dollars comes from private foundations, local government, state government, grants, donations and revenue generated from some programs. The Triangle Community Foundation, the Stewards Fund, the Z. Smith Reynolds Foundation, Hispanics in Philanthropy, the Durham Partnership for Children, and Duke University are among the past and present supporters of El Centro Hispano. Our capacity to fulfill our mission requires us to maintain diverse economic resources. Funding for El Centro Hispano’s programs and services has been impacted by recent decreases in state and federal agency budgets. We are acutely aware of the economic constraints that all of us are experiencing in North Carolina and around the country. El Centro Hispano faces very challenging times in particular because of the double impact of the shrinking economy and the increase in the numbers of Latino residents in our community. Ongoing and upcoming fundraising events include: the 23rd Anniversary Gala, Zumbathon, Gala Graduation, Health Fair and Spanish Language Institute. With support from individuals, community groups, private foundations, and businesses, El Centro Hispano will be stronger than ever and continue to serve the community for many years to come! !